Alaska's marijuana taxes continued to climb in July as the state collected more than $1 million for the fifth month in a row. 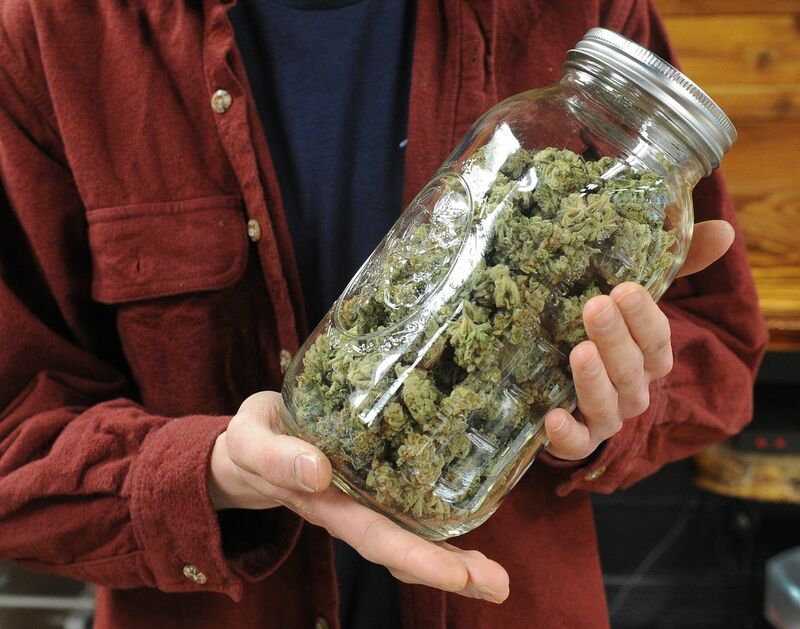 In July, the state collected $1.37 million in marijuana taxes, according to data from Kelly Mazzei, excise group supervisor with the Alaska Department of Revenue's Tax Division. That's about $111,000 more than June and a total of 1,378 pounds of bud sold wholesale in July, and 1,110 pounds of trim (the stems and leaves of the plant). A total of 107 growers paid taxes to the state in July. The state taxes marijuana at $50 per ounce of bud, and $15 for the leaves and stem of the plant. Twenty-three of those growers were in Fairbank; eighteen were in Anchorage; fifteen were in Wasilla. The rest were scattered across Southeast, Southcentral, and Interior Alaska — except one, in Nome. Since Alaska started collecting marijuana taxes, the state has collected $14.2 million, according to Mazzei. Of that, $10.8 million has been paid in cash, as most banks won't give cannabis businesses bank accounts. The tax money is split between different programs: Half goes to recidivism reduction programs within the Alaska Department of Corrections, Department of Public Safety, and Department of Health and Social Services; beginning in mid-October, one quarter of the money will go to a newly-created marijuana education fund within the Alaska Department of Health and Social Services; the remaining quarter goes into the state's general fund. The board also fined Alaska Hempfest for allowing people to smoke cannabis during the festival. And, the board voted to allow a shuttered Anchorage marijuana shop to reopen after confusion swirled about the process by which the board made its decision.